The Olympics are a time for people from all countries and walks of life to come together and celebrate in competition. Through laughter, tears of joy and sorrow, we bear witness to great moments in athletics and watch as our favorite athlete goes for the gold. Typically in the weeks leading up to the Olympics, we feel a sense of angst and excitement as we await the Opening Ceremonies. This Summer Olympics however, has already left fans and sports enthusiasts questioning whether the IOC choice of Rio de Janeiro was wise or even safe. The Rio 2016 website boasts that more than 200 member nations of the IOC (International Olympic Committee) are expected to compete in the games August 5 through August 21. With over 7.5 million tickets to purchase, prices for attending Opening Ceremonies range from R$200-4,600. Sessions with a medal victory cost R$100-160, while sessions without a medal victory are around R$50-100. There are 28 sports to compete in and 306 events in total including swimming, diving, badminton, weightlifting, tennis, volleyball, canoe slalom, archery, and artistic gymnastics. 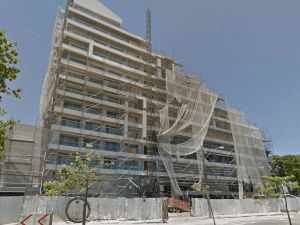 No event ever goes as planned, but for Rio the media has been keeping a close eye on their Olympic village and venue progress. Past cities, such as London and Beijing were not without their controversies but in the end both cities completed construction of the necessary venues and provided a safe, pleasant experience for both athletes and spectators. From the beginning, Rio 2016 was plagued with problems, and now nine days until the games, they haven’t much improved. 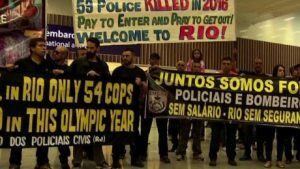 Some have questioned the rationale in allowing a politically unstable country with crime problems as well as severe sanitation issues hold the Olympics, but in their bid, Rio convinced the IOC that hosting the Olympics would boost the country and benefit the cities. In hindsight, it appears the IOC was played. An Independent Brazilian newspaper discussed the negatives of a Rio Olympics. While Brazil made its bid calling itself a “Country of the Future” the IOC and IOS Vice President called preparations “the worst” he’s ever seen. Rio’s Police Department is known for corruption and high incidents of violence. Another point discussed was the environmental impact the Olympics would have on the rainforests. Part of the plan for the Rio games involved deforestation of the Atlantic Forest in order to build a golf course. The mayor counters that “because the forest is so degraded this will allow for reforestation efforts after the games.” Also contributing to its negative reputation, the Rodrigo de Freitas Lagoon where the rowing and canoeing competitions will be held, is contaminated with dead fish, trash, and an antibiotic resistant super-bacteria. The newspaper reports that Mayor Paes has admitted that the lagoon, “will likely remain contaminated throughout the competition.” In a 2015 report by the Independent newspaper, The Latin Correspondent, Rio’s Comlurb waste management company, announced it “collected over 37 tons of dead fish.” While Rio’s environment secretariat noted that this massive die-off resulted as a change of water temperature, scientists are saying pollution is really to blame. On December 2, 2015, the Associated Press reported, “virus levels are widespread and the water is badly contaminated, even off shore.” Olympic sailor Erik Heil was treated at a Berlin hospital for MRSA, which he contracted after sailing in an Olympic test event in Rio in August. The city’s Olympic waterways are as rife with pathogens far offshore as they are nearer land, where raw sewage flows into them from fetid rivers and storm drains. That means there is no dilution factor in the bay or lagoon where events will take place and no less risk to the health of athletes like sailors competing farther from the shore. “Those virus levels are widespread. It’s not just along the shoreline but it’s elsewhere in the water, therefore it’s going to increase the exposure of the people who come into contact with those waters,” said Kristina Mena, an expert in waterborne viruses and an associate professor of public health at the University of Texas health Science Center at Houston. “We’re talking about an extreme environment, where the pollution is so high that exposure is imminent and the chance of infection very likely.” In July 2015, the AP reported that first round testing found disease-causing viruses directly linked to human sewage levels up to 1.7 million times what would be considered highly alarming in the US or Europe. “Experts said athletes would be competing in the viral equivalent of raw sewage and exposure to health risks was almost certain.” In December 2015 tests showed no improvement of water quality, but found that the water is even more contaminated than before. 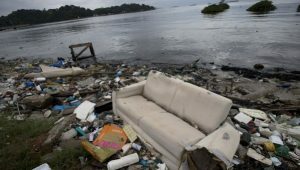 The number of viruses found over a kilometer from the shore in Guanabara Bay, where sailors compete at high speeds and get utterly drenched, are equal to those found along shorelines closer to sewage sources. Another recent problem to plague the Rio Olympics is the housing issues in the Olympic Village. According to the Wall Street Journal, “Competitors from Argentina decamped from the athletes’ village this week, following their counterparts from Australia, after encountering apartments with no hot water, faulty plumbing and exposed wiring, among other issues.” Officials later admitted that in a rush to finish the housing, they did not test the plumbing or electrical accommodations. Argentina, Australia, US, and Italy have reported problems with their buildings and Italy has hired its own repairmen. Instead of the 5 star quality the athletes were promised; they were greeted with, “partly built units with leaking pipes, bad lighting and toilets that don’t flush. Australia’s delegation termed its apartments uninhabitable over the weekend and headed for hotels.” Australia’ housing was the worst out of the 31 buildings and Mayor Paes acknowledged the contingent had a right to complain, not before he sarcastically joked that he could put a kangaroo in front of their building to make them feel more at home. Things are getting uglier here every day. I advise everyone with plans to visit Brazil for the Olympics in Rio — to stay home. You’ll be putting your life at risk here. There have been many concerns regarding the 2016 Rio Olympics since the IOC announced Rio de Janeiro as host city. The years since have done little to quiet the concerns and have in turn spurred new alarming information. Given the state of the water, crime, and environmental conditions, Rio will be closely scrutinized. Mandie Czech graduated from Southern New Hampshire University with a major in Psychology and minor in Sociology. She is currently getting her MFA in Creative Writing from Southern New Hampshire University. Her goal is to work as a researcher in the University system examining the role of religion, primarily Islam on people’s lives and choices. She is also interested in writing screenplays documenting the human condition. 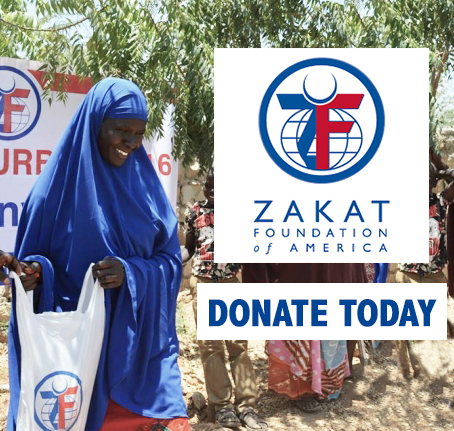 How Do Facebook “Community Standards” Ban a Muslim Civil Rights Leader and Support Anti-Muslim Groups?